Sunday brunch is my favorite meal of the week, especially if it’s a beautiful buffet filled with delicious food. The pleasure of indulging in a relaxing breakfast that does not involve me in the kitchen cooking, or even better, cleaning up, is the way I like to spend my day of rest. But then there are those holidays like Easter, Christmas, or any celebration that involves cooking for a larger crowd. Those are the days I like to get creative in the kitchen. 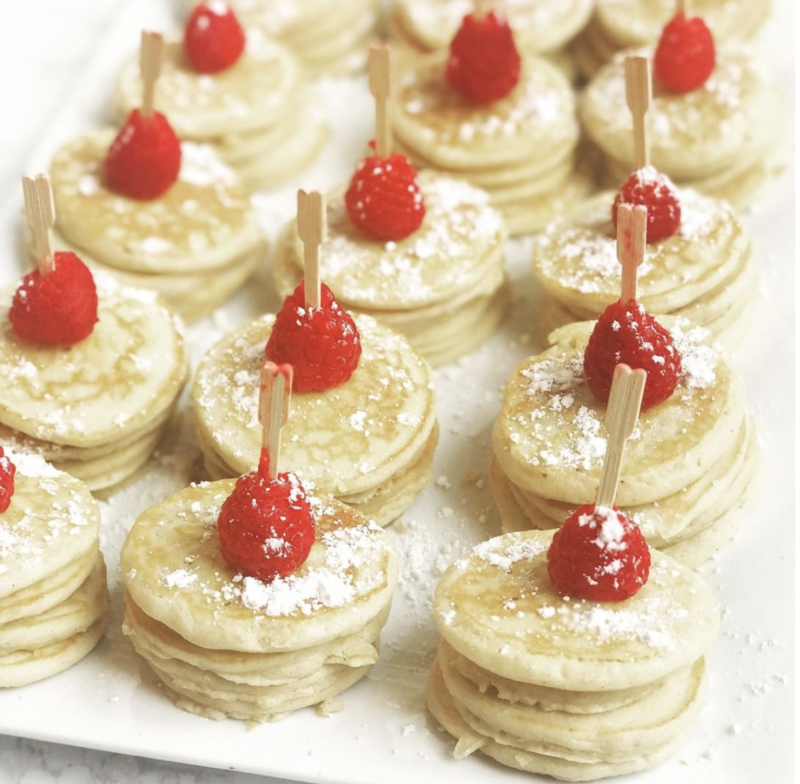 Mini Pancake Stacks were born out of the necessity of creating an entire breakfast buffet for 15 people while not wanting to slave away at my stove top making pancakes while my guests were enjoying the meal without me. Since I was serving a variety of brunch items, pancake stacks seemed like the perfect touch to an already elaborate brunch experience. These adorable little add-ons were a hit and best of all, I was able to enjoy brunch with my guests. Unfortunately, when you host a brunch for a large crowd, there are always plenty of dishes waiting to be done for you when it over. Ha! You win some you lose some, I guess! The perfect solution for serving pancakes to a large crowd. Top your stacks with your favorite berries to create a breakfast everyone will love! 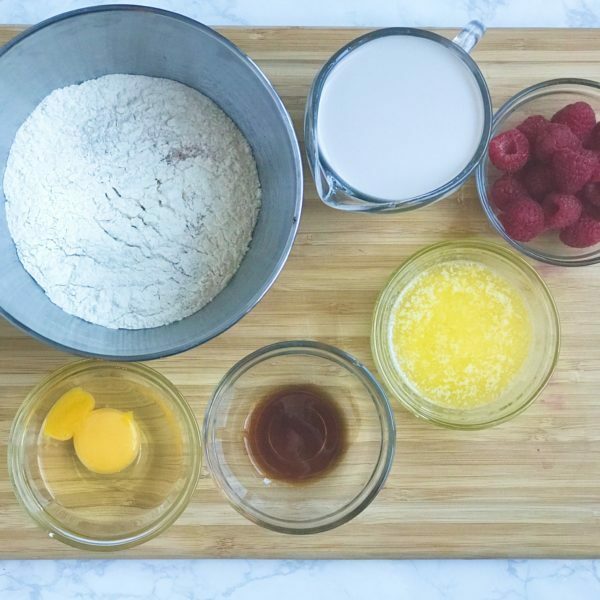 In a medium bowl, mix flour, baking powder, salt, and sugar. In a small bowl, whisk together almond milk, egg, and butter. Pour into medium bowl and stir until well blended. Heat griddle or pan on medium-high. Add cooking spray or oil to grease the pan. When the oil is hot, ladle 1 tablespoon of batter onto griddle, repeating until all of the space on the griddle is filled and the batter is completely used. Turn each pancake as it turns light golden brown. Transfer to a plate. Create stacks by putting 3 pancakes on top of each other. Push a toothpick through the top of a raspberry or your choice of fruit, then push the toothpick into the middle of the pancake stack. Repeat until all pancakes are used. Transfer stacks to a serving platter and lightly sprinkle powdered sugar on top. Serve immediately.